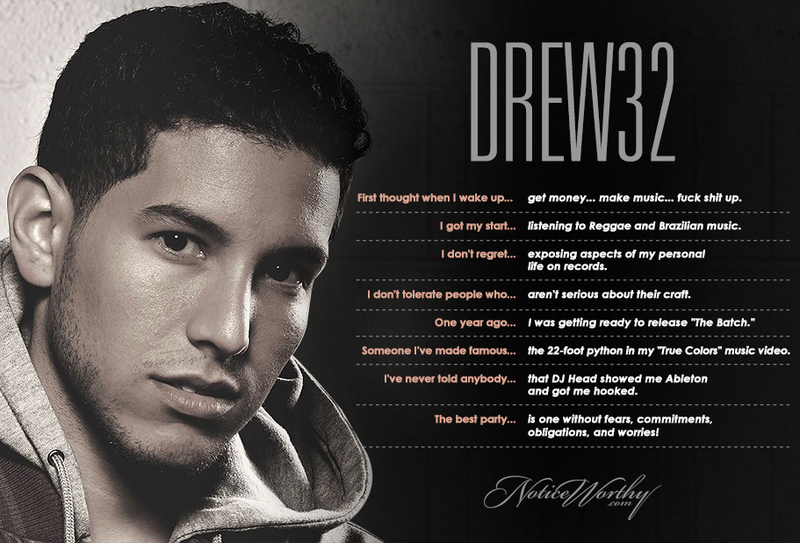 Selected by Billboard Magazine to compete in the Billboard Music Awards Battle of the Bands, Drew32 is an emerging hip-hop artist and producer featured on MTV, mtvU, ESPN, BBC 1Xtra, and hip-hop websites XXL, The Source, Vibe, HipHopDx, ThisIs50, and AllHipHop. Drew is currently touring his newest release, The Batch [Vol. One].